Creating an account in our website allows you to do a quick checkout as all the information (which includes your billing address, telephone information etc.) will be stored securely. Special promotion or discounts will be emailed to you which you can avail anytime on your next online purchase. Is ordering through your site secure? Yes, our website is secure as all transactions are completed on a secure server. The website is a PCI DSS (Payment Card Industry Data Security Standards) level 1 compliant so the security standards match those of a bank. You may change or cancel your order before checkout by viewing and editing your shopping cart. When can I get a refund on my credit card if I cancel my order? It usually takes around 3- 5 business days after a customer cancels an order. Click "View Cart" at the right top of the web page. Scroll down, you will find a textbox accepts the coupon code. 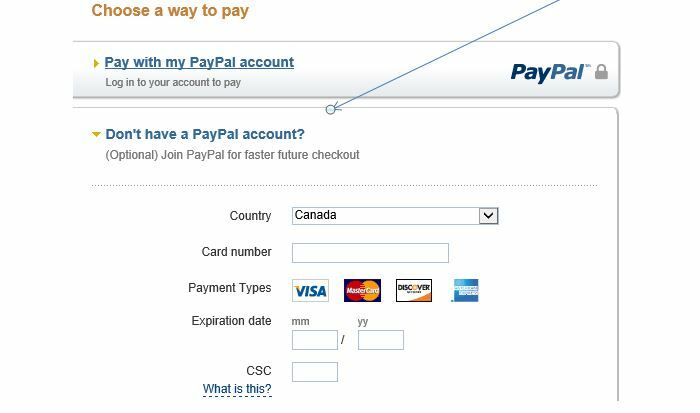 What are my payment options if I don’t have a paypal account? Customers can pay using their Visa, Mastercard and American Express. You can see these options in the checkout tab after finalizing your order. Can I pay using my USD credit card? Can you ship to US address? At the moment, we only deliver to Canada. We are looking at delivering our products in the US and will update our website once we are able to do so. Usually customer credit cards will be charged within 24 hours of authorizing and confirming the payment in our website. Are there taxes and duties for my purchases? Can I ship to PO box addresses in Canada? Who do I call if I have questions or problems ordering online? Customers can contact one of our sales team at 604 276 0035, Mondays to Fridays from 8:30 am – 5:00 pm PST .